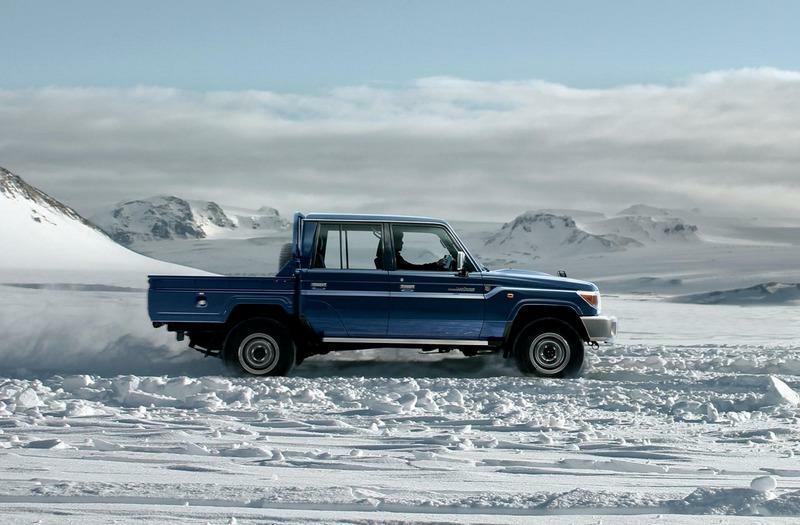 Toyota’s commemorating the 30th anniversary of the Land Cruiser 70 by doing something it’s never done before. The Japanese automaker is reintroducing the model, except that it’s going to be limited to its local market. I don’t know if I speak for everybody here, but I’m completely jealous that Japan’s getting exclusive dibs on the re-released Toyota Land Cruiser 70. All 200 planned models, to be exact. It doesn’t seem fair, does it? To make things interesting, Toyota’s also producing a double-cab pickup version of the Land Cruiser 70, which will also be limited to the Japanese market. Granted, I’m not that excited about the pickup version as I am about the traditional enclosed body classic. The latter model speaks to a level of nostalgia you don’t see in today’s models anymore. I’m counting those retro-inspired ones, too. If I knew that Toyota was considering re-releasing the model due to widespread requests in Japan, I’d be screaming for the model to go Stateside. Unfortunately, it’s unlikely that Toyota will do that, leaving me with no other choice than to just drool over these photos. Such a shame. You’re not going to see a completely different Land Cruise 70 from the one that we saw 30 years ago, but that’s why this model’s so appealing. It’s like Toyota removed the covers of the old Land Cruiser models, and then did some tweaking to the grille and hood while also adding modern headlight indicators. There are also a pair of 30th anniversary commemorative emblems featured on both sides of the vehicle, just in case people mistake this model as the original Land Cruiser 70s from 30 years ago. It’s the same story with the interior. The old cabin design was retained for this purpose, although the instrument panel now has a different layout compared to the older model. 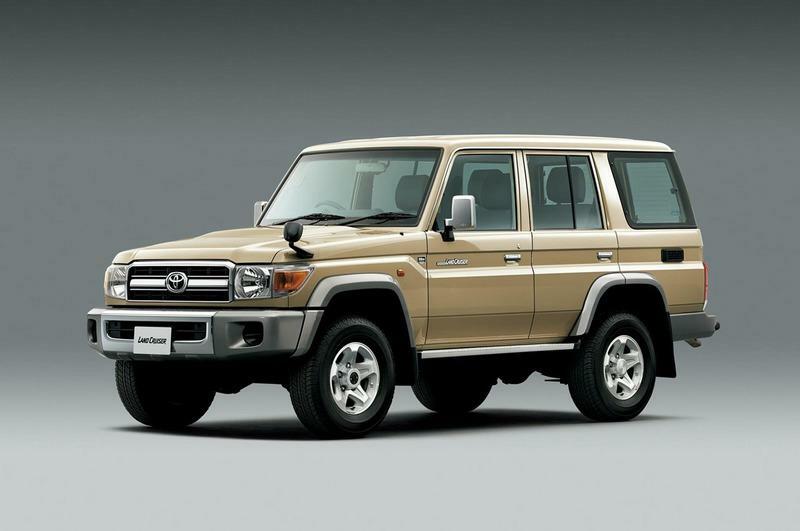 The original pyramid-like transmission casing does make an appearance in the re-released Land Cruiser 70, giving it that true-to-the-original feel. The dashboard is also similar to the old one, and the knobs are all right where they used to be. 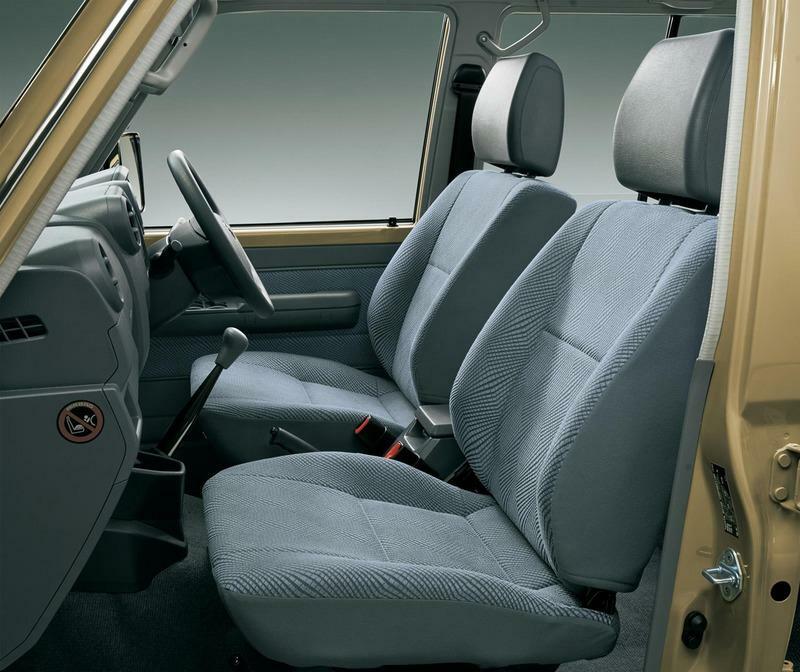 Even the door inserts and the seats carry similar designs from the original version. 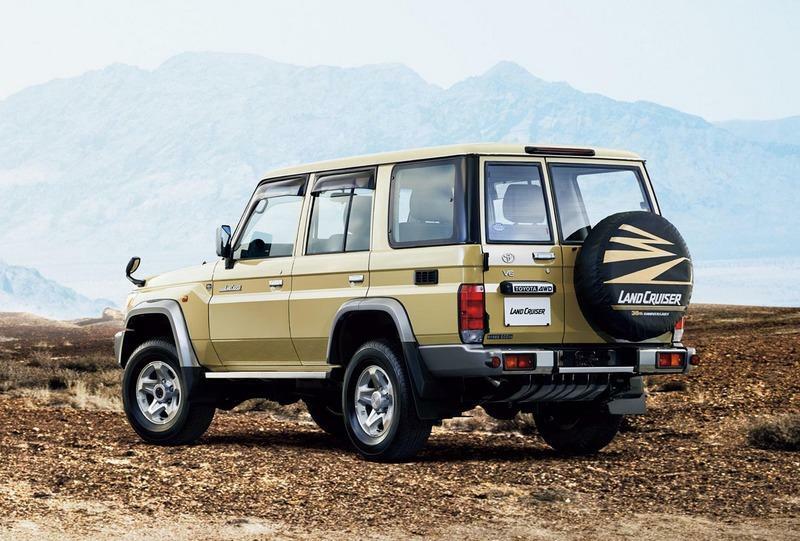 The re-released Land Cruiser 70 is powered by an updated, 4.0-liter, V-6 engine that comes with an aluminum block and features VVT-i technology. This allows the engine to produce 228 horsepower and 266 pound-feet of torque. The engine mates to a five-speed manual transmission. Toyota didn’t release any performance numbers, but I expect the Land Cruiser 70 to sprint from 0 to 60 mph in around nine seconds to go with a top speed of around 120 mph. Toyota’s charging a lot for these throwback Land Cruiser 70 models. The SUV retails for 3.6 million Yen, which is about $34,642 as of 9/5/2014, while the pickup version costs just under 3.5 million Yen, which is around $33,680. How do you find a suitable competitor for a limited edition SUV/pickup that carries an old-school design with splashes of modern technology? The only one that comes to mind is the Jeep Wrangler, although such comparisons are only because the Wrangler also sticks to an old-school-inspired design. 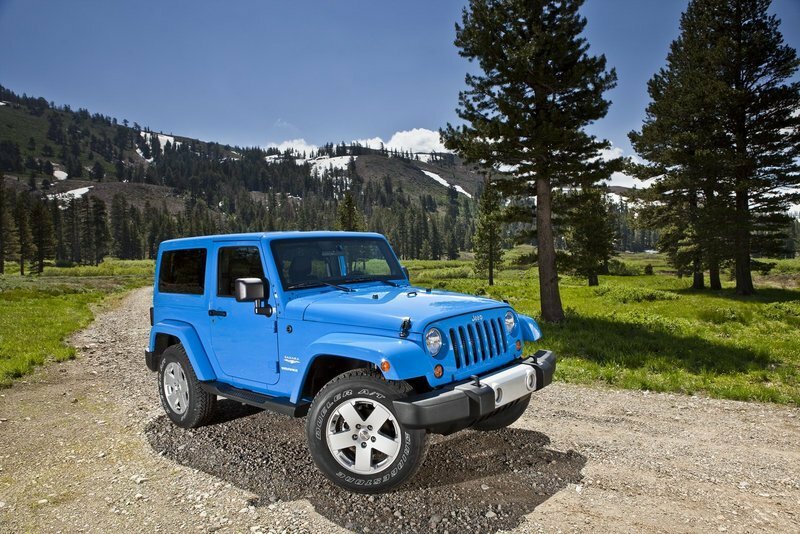 In terms of its engine, the Wrangler carries similar performance credentials, thanks in large part to its 3.6-liter, Pentastar V-6 that produces 285 horsepower and 260 pound-feet of torque. The Pentastar V-6 mates to either a five-speed automatic transmission or a six-speed manual unit. I love the sense of nostalgia the Land Cruiser 70 exudes, but I am a little upset that it’s not coming to the U.S. At the very least, shouldn’t Toyota have allocated at least a handful of models here? It’s not like Japan and other Asian countries are missing out on the Land Cruiser, as it’s still sold in a lot of those countries. 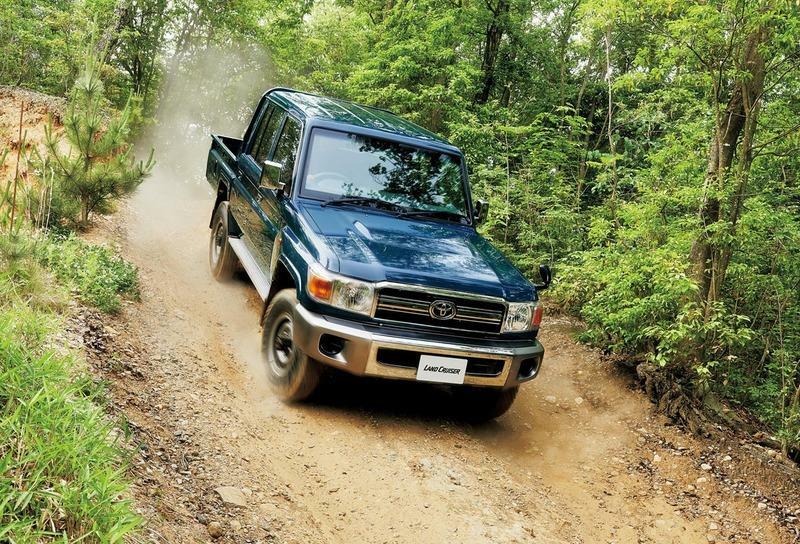 It’s not coming to the U.S.
Toyota City, Japan, August 25, 2014―Over the 30 years since its launch, the "Land Cruiser 70"―a milestone model of Toyota’s longest-running nameplate―has gained devoted fans worldwide. Sales in Japan ended in 2004, but to respond to widespread domestic requests for its return to sale and to commemorate its 30th anniversary, Toyota is re-releasing the Land Cruiser 70 in Japan for roughly a year1. Additionally, two special edition versions of current models will go on sale at dealers throughout Japan. 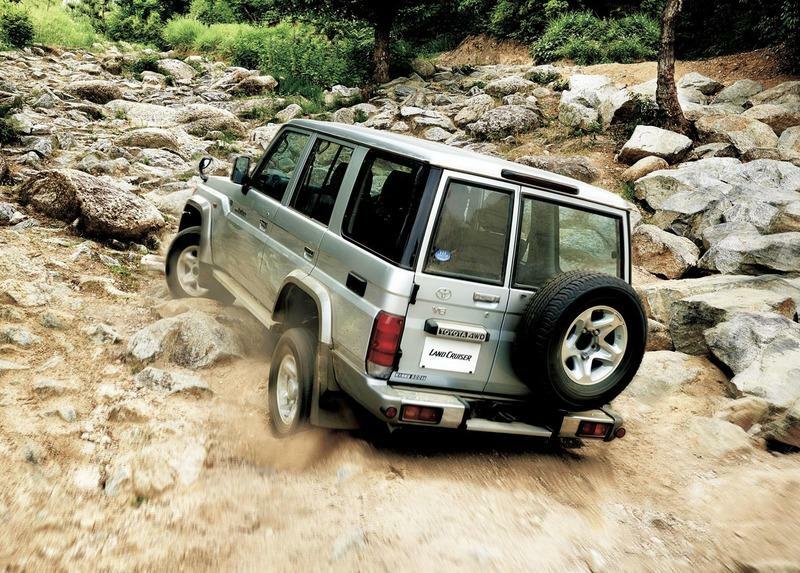 The Land Cruiser 70, first launched in Japan in 1984, has heavy duty specifications adapted for off-road driving. 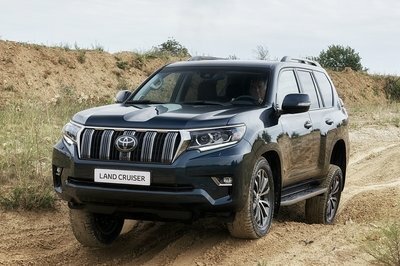 The Land Cruiser 70 will go back on sale today at dealers throughout Japan, and Toyota expects to receive 200 orders a month for the one year period it will be sold. In addition to the four-door van model previously available, for the first time in Japan customers will also be able to choose a double-cab pickup truck. The vehicles will be produced at Toyota Auto Body Co., Ltd.’s Yoshiwara Plant. 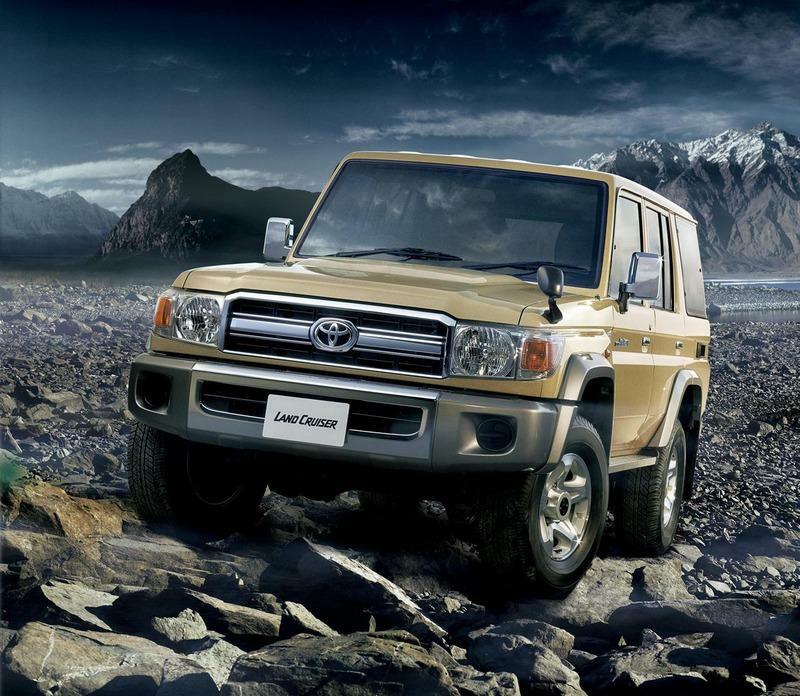 The Land Cruiser 70’s ladder-frame construction gives it its legendary robustness and durability. These features are combined with a V6 4.0-liter engine and part-time four-wheel drive to reproduce the Land Cruiser’s classic features, including its excellent drivability. The vehicle incorporates modern interior and exterior design elements and safety features to meet today’s needs. 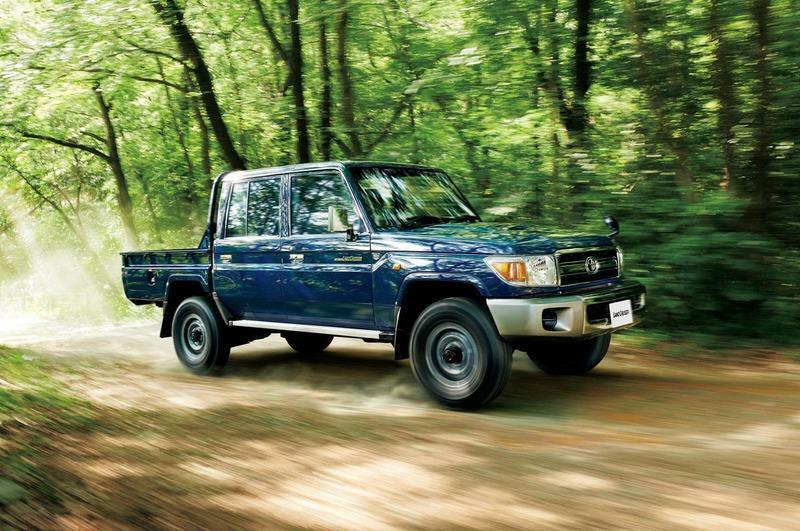 The Land Cruiser 70 draws on the heritage of previous models. It has been designed to far more demanding standards than regular passenger vehicles and also leverages 30 years of improvements to realize superior robustness and durability since it launched. The traditional closed ladder frame mounting with cross braces provides a high degree of rigidity for traveling on rough roads, while also offering superior safety and comfort. 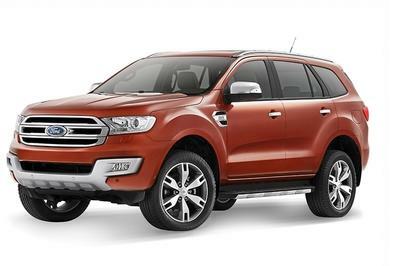 Generous approach, break-over and departure angles for travel on rugged roads and over obstacles enable the vehicle to drive on grueling terrain beyond the capabilities of a regular passenger vehicle. 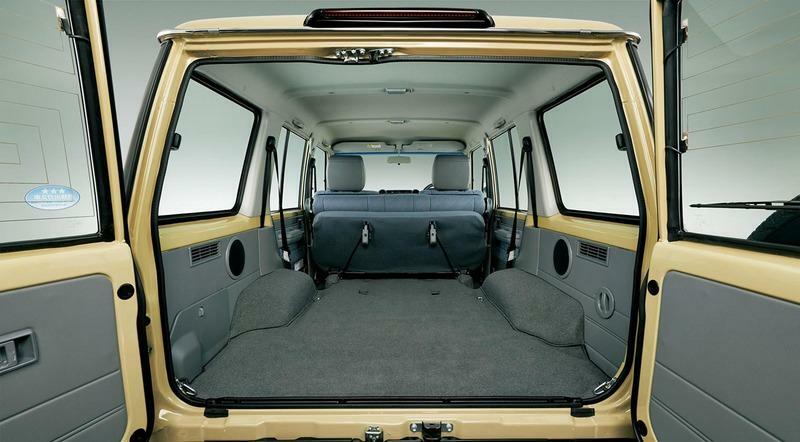 The four-door van has a typical Land Cruiser form and offers excellent riding comfort. 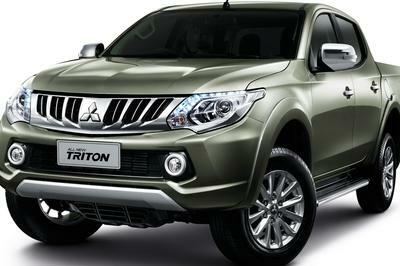 The Japan-first double-cab pickup truck provides sturdy deck space, and can bear up to 600 kilograms of cargo. The V6 4.0-liter 1GR-FE engine is the first of its kind in Japan. The use of VVT-i2 provides high intake efficiency, while a light aluminum cylinder block and an Acoustic Control Induction System (ACIS) enable a 6.6 km/L fuel efficiency (under the Japanese Ministry of Land, Infrastructure, Transport and Tourism’s JC08 test cycle) along with high power performance of 170 kW (231 PS) maximum rpm and 360 N/m (36.7 kgf/m) maximum torque. The five-gear manual transmission uses triple cone synchros on the second and third gears, achieving superior maneuverability and durability. The vehicle is equipped with a part-time four-wheel drive system (with dual-mode automatic locking hub) which allows the driver to select driveline using the transfer lever bar. This offers the option of quiet and fuel efficient two-wheel drive driving in town and on the freeway, while switching to four-wheel drive provides comfort and driving performance on uneven ground and slippery roads. An optional extra electric differential lock (front and rear) prevents the vehicle getting stuck due to wheel-spin. 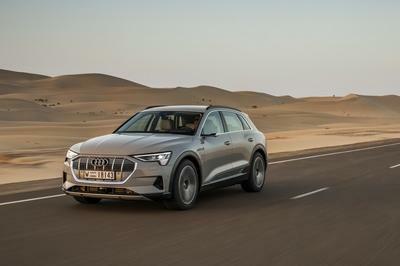 Switch-operated locking of the differential gear transfers driving power to the grounded wheels, improving the vehicle’s capability to traverse mud and holes. An optional extra electric winch for the front bumper bar assists in moving the vehicle if it gets stuck, in removal of obstacles and for moving heavy loads. While the exterior inherits the Land Cruiser’s signature sturdiness, the front takes on a more modern design. 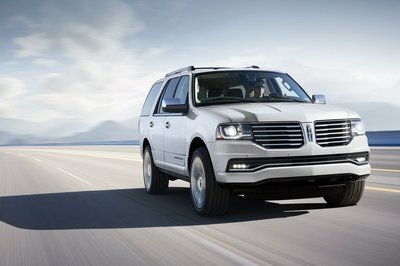 In addition to an updated front grille and hood, the modern headlights incorporate turn indicators. The interior also maintains the signature strength of the Land Cruiser while incorporating modern design features. The instrument panel is highly functional, featuring a straight horizontal design to help the driver stay aware of the vehicle’s position when driving off-road. A 30th anniversary commemorative emblem is featured on both sides of the vehicle. A special leather key case and leather maintenance record holder are also included. Modern safety adaptations include SRS airbags to assist in passenger protection in the event of a collision, and ABS to ensure greater control in an emergency by preventing the wheels from locking during braking. Special Editions of Current ModelsTo further commemorate the 30th anniversary of the launch of the Land Cruiser 70, Toyota will release two new special edition models, the "Land Cruiser ZX Bruno Cross"3 and the "Land Cruiser Prado TX Argento Cross"4 in Japan. The Land Cruiser ZX Bruno Cross is based on the Land Cruiser ZX (of the "200" series currently sold in Japan and elsewhere). Special features include super chrome metallic paint, aluminum wheels and premium nappa leather seats. Additional touches, such as plated side mirrors, emphasize the vehicle’s luxury feel. The Land Cruiser Prado TX Argento Cross is based on the Land Cruiser Prado TX (of the "150" series currently sold in Japan and elsewhere). The vehicle’s stylish features include a silver and black color scheme on the seat covers and roof railing, an exclusive dark gray metallic paint for the wheels, and a geometric instrument panel. In addition, both special edition models will come with exclusive smart keys, a leather key case and leather maintenance record holder.